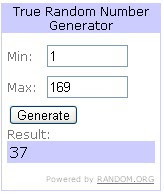 Eco-Babyz: Kushies Swim Diaper Winner! Congratulations! You have been notified by email and have 48 hours to respond otherwise a different winner will be chosen! Thanks to everyone for entering, come back again for more great articles and giveaways!